2-6 Professional musicians performing Latin and Mexican music. 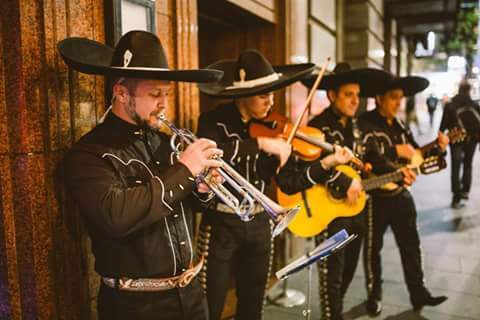 The Mexican Mariachis are available for strolling, stage performances, festivals, private and corporate functions, parties, events, festivals, weddings, special occasions, even marriage proposals! 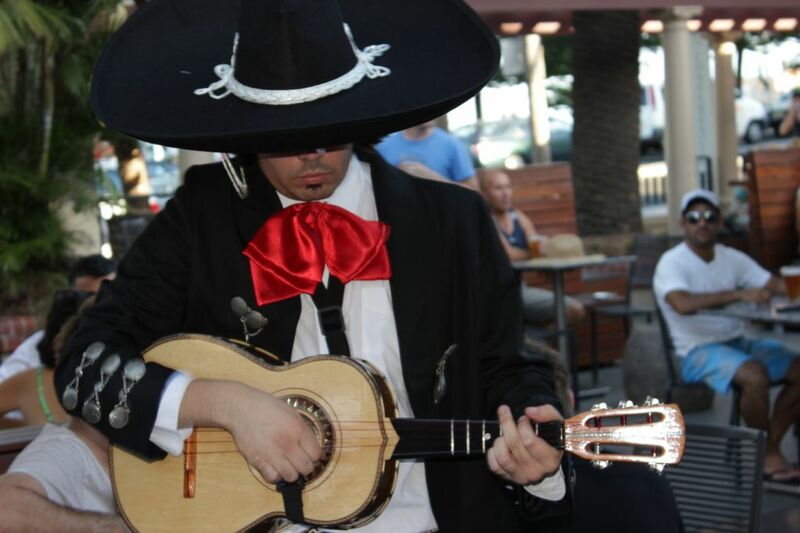 The “mariachi” is originally from the state of Jalisco in Mexico. 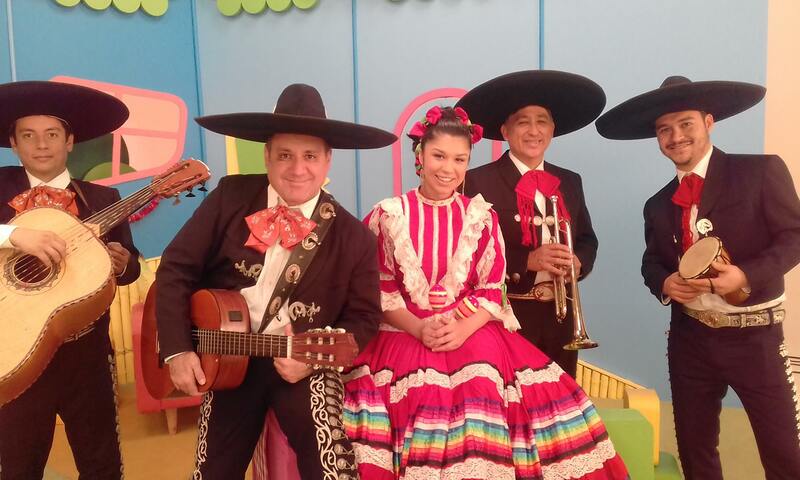 It is the most well known style of Mexican traditional music. It consists of trumpets, violins, a guitar, vihuela (Mexican guitar) and guitarron (Mexican bass). The songs played contrast from sentimental love ballads to lively and popular music. Be swept away by music to a place synonymous with fun, passion, romance, culture and magic – Mexico! Book either for 2 x 45 minute sets or 1 x 45 minute set. Choose from a duo, trio, quartet, quintet or 6 piece line up. The group performs acoustically with no need for sound equipment which means they can move around easily and serenade your guest. Their rrpotoire consists of all the Mexican favourites both traditional and contemporary such as Tequila, La Bamba, La Cucaracha, The Mexican Hat Dance, Javier Solis and Jose Alfredo Jimenez, to the current hits of Vicente and Alejandro Fernandez and others such as Bésame Mucho, Si nos Dejan, El Rey, De que manera te olvido, Como quien pierde una estrella etc. The perform in their unmistakable costumes which are recognised internationally as a characteristic of Mexican folklore. As well as Mexican themed events these talented Musicians can also do Live Latin performances on stage as well as roving. Implementing percussion in the ensembles to give that extra Latin flavour e.g. Cuban Music, Latin Rhythms & Floor shows, Gypsy Kings….they even do some Frank Sinatra, Elvis Presley, Carlos Santana, Jose Feliciano etc.. all with Mariachi Rhythms. All their music is performed 100% live. 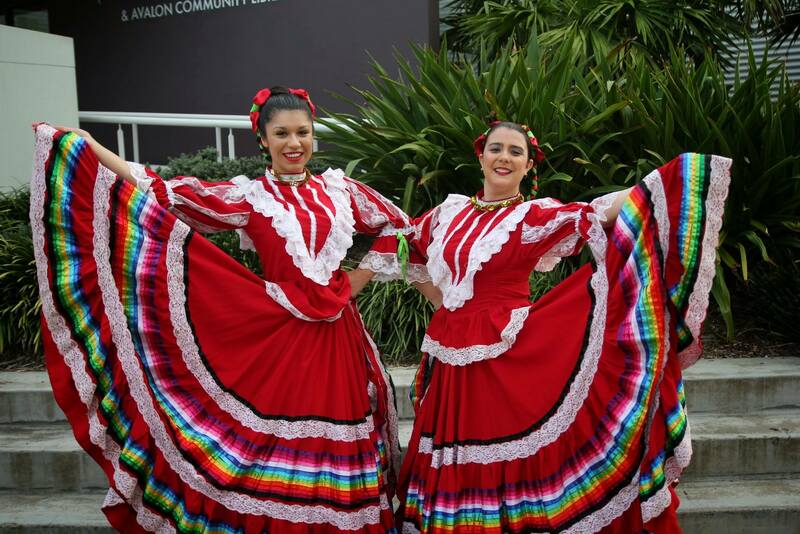 We can also provide authentic Mexican Dancers to perform with the Mariachi Musicians. They perform 3 dance routines over the course of an hour to compliment the Mariachis. It can be a solo female dancer or a duo - guy / girl or 2 girls. I want to thank you and Talent on Line for sending us a most magnificent Mexican Mariachi Band. The team were so helpful and kind and performed so beautifully. I think the Band were the hit of the wedding! Would you mind thanking the band for their professionalism and performance. We are all very grateful for the lightness and happiness they brought to the wedding!